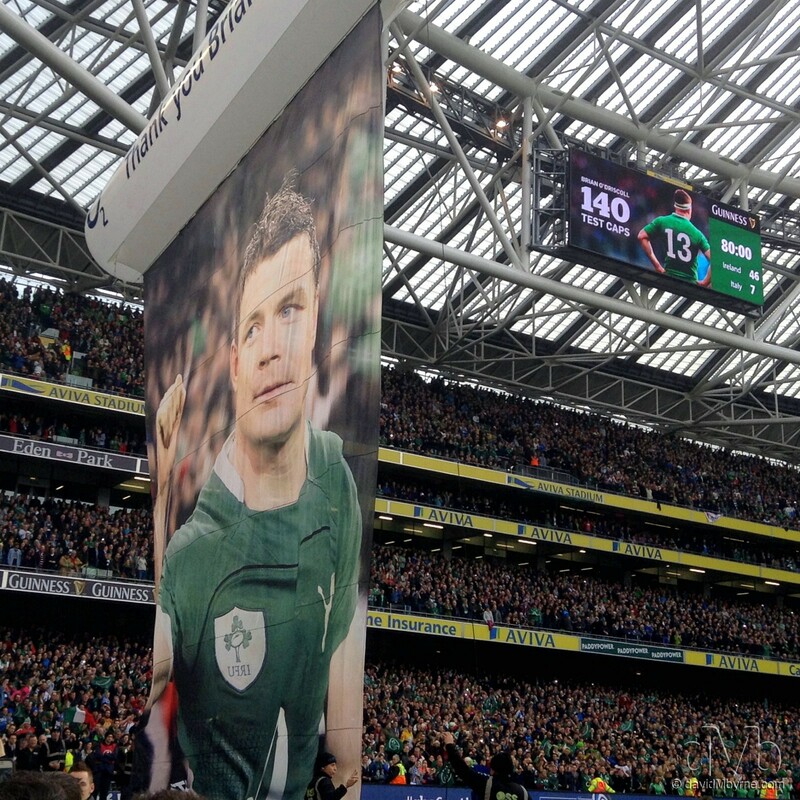 I was in the Aviva Stadium in Dublin yesterday to see a legend don the Irish jersey for the last time on home soil. It was a pretty special occasion. I didn’t have the best seats but I was nicely positioned to get the following image at the game’s conclusion, when a massive ‘Thank you Brian’ banner was unveiled to the masses to see the great man off.